Recently, sitting with a planning group, I asked them about their organization’s mission stat ement. Only one person in the group had a copy handy. It was a true description of the organization’s mission. The problem was that it was largely irrelevant to our planning work. Why is it that organizations can invest thousands of dollars in the creation of a mission statement, and then fail to take advantage of it? There are number of reasons. The purpose of the exercise was to create the statement. Task done. The statement was a product of a committee who wanted to make sure everyone’s ideas were included. Task done. The purpose of the statement is to have one when someone asks for it. Task done. The problem with many mission statements and the processes that create them that I have seen is that they are misguided. The organization’s leadership doesn’t understand the purpose of a mission statement. At best it is used as a reference point for decisions, but little else. For many leaders, the structural design of the organization is the mission. They are process managers and the mission is focused on process efficiency. As a result, mission statements are approached from a cynical perspective. In addition, organizational structures and processes become fixed ends to the mission, rather than a means to achieving a missional purpose. The result is an organization resistant to change, outside influence and ill-prepared to be an agile player in the market place. Recently, Tom Peters wrote about the work he did at McKinsey & Company in the 1970s. Here’s the blog post and the article mentioned in the post that he co-authored in 1980 describing their findings. I continue to say, over 30 years later, that the power of the 7-Ss and In Search of Excellence (1982) and my subsequent work can best be captured in six words: “Hard is soft. Soft is hard.” That is, it’s the plans and the numbers that are often “soft” (e.g., the sky-high soundness scores that the ratings agencies gave packages of dubious mortgages). And the people (“staff”) and shared values (“corporate culture”) and skills (“core competencies” these days) which are truly “hard”—that is, the bedrock upon which the adaptive and enduring enterprise is built. 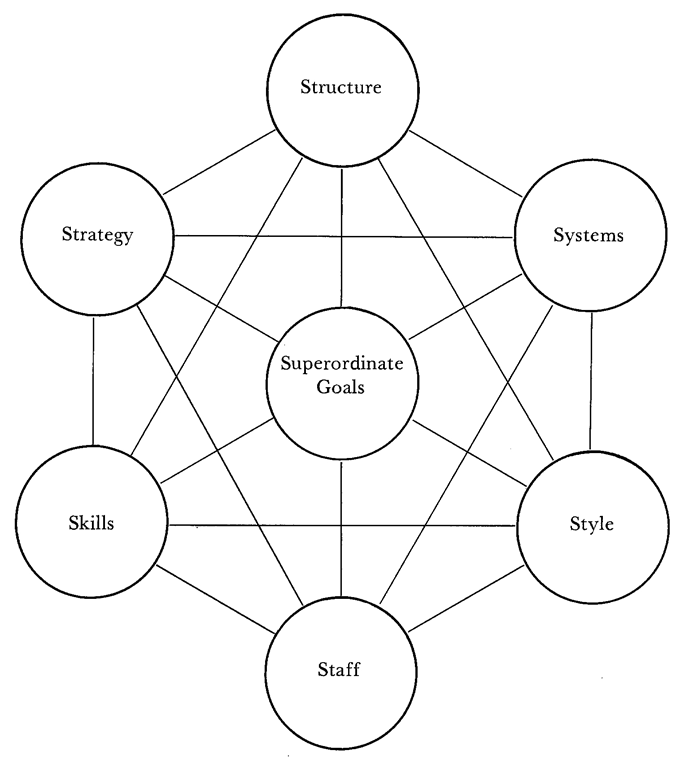 To state the obvious, we very much included the “Hard Ss” (Strategy, Structure, Systems) in our framework, then added the “Soft Ss” (Style, Staff, Skills, Shared values—or Superordinate goal); and insisted that there was no precedence among them. Deal with all seven or accept the consequences—likely less than effective implementation of any project or program or increase in overall organization performance. In Peters world, a mission statement is a Hard S as a part of the Shared Values or Superordinate Goals of the organization. It is worth the time, effort and cost that is required to create a mission statement that functions well. Here are some of the benefits that I see. The first level of benefit that a mission statement should provide is clarity. It is an identity statement, about who we are and what our purpose is. An organization should have a singular identity. It is not just for marketing and branding purposes. It is also so the people who work for the company understand what their role in that mission is. The lack of clarity creates ambiguity of purpose that erodes confidence and motivation to excellence. The second level of benefit that a mission statement should provide is alignment. 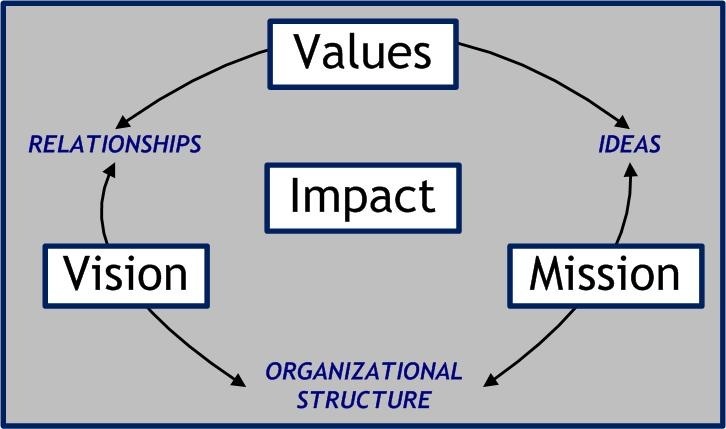 The organization’s structure should be aligned with its mission, not its mission with its structure. If you are a manufacturer of men’s clothing, what is your mission? Is it to operate a production line that results in apparel ready for the market? Or is your mission to provide your customers apparel that meets their expectations. The difference is whether your mission is focused inwardly on the operating structure, or outwardly to the marketplace that buys your products or services. Alignment is a huge problem in organizations that are in the midst of change. When problems emerged our natural tendency is to look inward to see what is wrong, to find comfort, and to hold tight until things get better. But internal alignment means nothing if there is not alignment with the marketplace, and this is where a well crafted mission statement can help shift the alignment focus to where it is most beneficial. The third level of benefit that a mission statement should provide is a healthy, unified culture. In the example of the planning committee’s lack of awareness of their organization’s mission, the effect was a splintered culture where it was difficult to find what their core purpose was. They have several missions based on strong internal leadership that builds commitment around those expressions of the organization’s over all stated mission. However, spend some time in their midst and you can feel the lack of unity and cohesion within the culture. A well-crafted mission statement can serve to unite distinct parties into a common culture of shared purpose. When an organizational culture is formed and guided by its mission, there is a clarity about what is important and how to make decisions. There is also a better platform for communication than there would be in a mixed, almost tribal, culture. A culture unified around the organization’s mission will see more coordination between the departments and units. If you want to utilize your mission statement for maximum benefit, then here are some steps you can take. 1. Start an organization-wide conversation about your mission. Remember it should be focused outward toward your market. The purpose of your organization should not be to produce widgets. Its mission should be the benefit those widgets provide to your customers. Your mission points to the impact that you want to have. Talk about this with your employees, and even interview a range of customers to find out what they think. And once you start the conversation, never let it stop. A mission conversation produces engaged employees, who produce the culture that is the personification of your mission. 2. 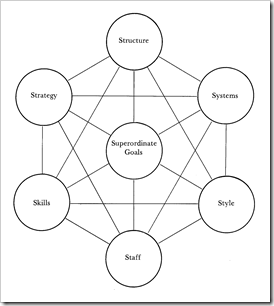 Conduct a mission alignment analysis of your organization’s structure. Here is where an outside consultant can be helpful in seeing what you can’t see because it so familiar. The purpose of alignment is to have only as much structure as is needed to achieve optimum fulfillment of your mission. What I suspect you will find is that some of the processes and structures are either non-essential or redundant, and some can be consolidated, and refocused. Remember structure is aligned with your mission. It serves your mission. That is why your mission needs to be compelling enough to give purpose and vitality to all parts of the structure. 3. Create a unified culture by elevating the importance of your Mission and the other Connecting Ideas to operational status. In many organizations, ideas like a Mission statement never get to go beyond the public relations / marketing office. 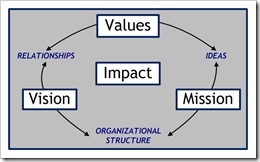 To create a culture out of your mission and the other Connecting Ideas (Values, Vision and Impact) constantly ask how these ideas are present in the decisions and actions of the organization. In so doing, you are “operationalizing” your mission as a strategic asset. It isn’t just an idea. It is a platform for building new strength in the organization. Here’s an example that I often use to illustrate this point. In a meeting with the leadership team of a corporate business unit, I asked the question, “Where do you not see respect as a part of your team.” One member said he felt a lack of respect for his position and departments needs during their weekly team meeting. The specific criticism was that they would come to the meeting not knowing what they were going to discuss, and then only discuss the issues that the units SVP had. We instituted a process where two days prior to the meeting, each team member could submit agenda items. Then one day before the meeting, an agenda would be distributed. The change was implemented the following week, and within a few short weeks the meeting had shifted from being issues oriented to strategy oriented. Once the issues were raised, the team began to address them right away. Simple change based on the need to operationalize respect changed their effectiveness as a team. Mission statements put into words the beliefs and values that people, both in side and out of an organization have for the company. It works best when it is a simple, singular idea that can capture their imagination. Having a statement is not enough. It must live in the life and work of the organization. This is the work of leadership in our day. Tagged with conversation, culture, McKinsey 7Ss, mission, organization, purpose, Tom Peters.